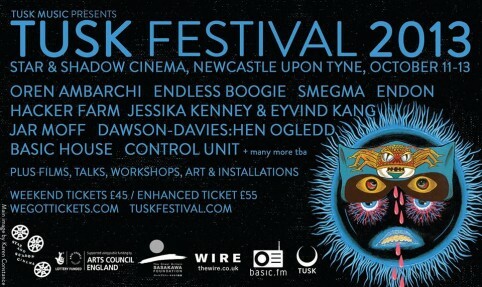 Capsule took a jaunt to Newcastle last weekend for the always brilliant Tusk Festival. Now in its third year, it’s a heady mix of noise, outer limit beats, psych and an ever expanding talks and film programme. Highlights for us included a wide grin inducing improv set from Oren Ambarchi, Neil Campbell and Mick Flower, Jessika Kenney & Eyvind Kang, Basic House and Richard Dawson (who you can see at Bring To Light and a special Kids Gig performance next weekend) and Mark Fell’s series of sound installations at Baltic 39.
organisations supporting adventurous music. Expect to see Y Music activity in the future, in the meantime check out last year’s Y Music podcast.